Stem cells are progeny cells which later on differentiate and mature into different tissue cell lines (such as epidermal cells, hair follicle cells ).in hair these stem cells are present in the hair bulge area which can get stimulated to produce new hair follicles. In cases of hair loss or androgenetic alopecia these stem cells are unable to produce thicker terminal hair or are lost resulting in hair loss. In the stem cell therapy we stimulate these dormant hair follicles to produce thicker and healthier hair. 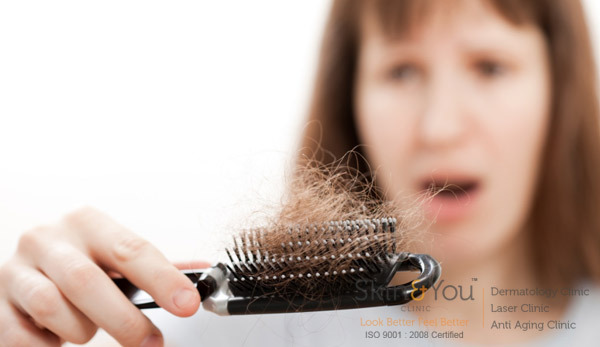 Hair follicles contain stem cells that aid hair growth. These cells help in growing new hair follicle. The hair follicles are enriched with stem cells which has growth factor .this is introduced on the scalp with derma rollers and derma pen which helps in orienting and developing the follicle togrow hair. While aging the follicles tends to shrink and stop responding to the chemical signals given to it this hinders the process of hair growth. The follicles of stem cells send signals to shrunken follicles which in turn help in regenerating and growing healthy hair. Stem cell therapy for hair regrowth is non-surgical remedy to inspire and regrow hair follicles that result in healthy hair growth. These stem cells renew themselves through cell division after a long period of inactivity, thus helping in stimulation of long dead hair follicles in areas of baldness. It is introduced into the scalp making hair follicles orient in right direction.It helps promote hair growth and fight baldness.